Little Opera is a fiscally sponsored project of Fractured Atlas, a non-profits arts service organization. Through their sponsorship we are able to receive tax-deductible donations and apply for grants without holding our own 501(c)(3). 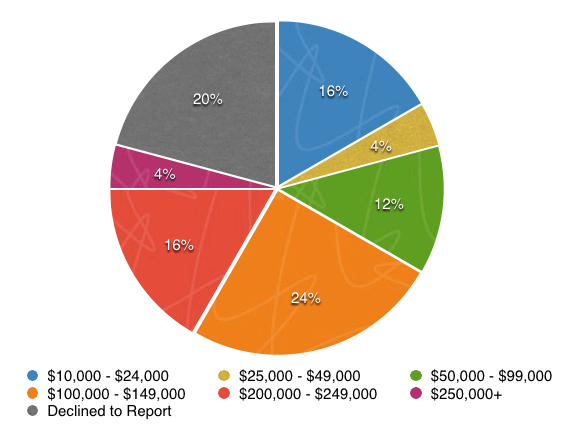 Contributions from individuals remained nearly steady, with a 9% drop in total gifts. While the funds raised from individual donors decreased, our donor pool grew significantly, from 71 donors last season, to 93 individual donors this year — a 31% increase! 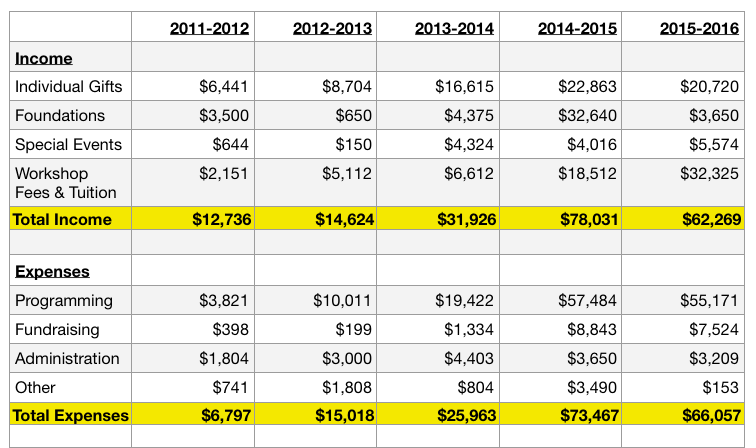 Contributions from foundations jumped a whopping 646% last season, and returned to 2013-2014 levels this year. In our 2014-2015 season we were awarded two major grants (a total of $25,000), which have not yet been renewed. Event income from the Little Gala grew 38% thanks to an increase in ticket sales, and an ambitious silent auction. 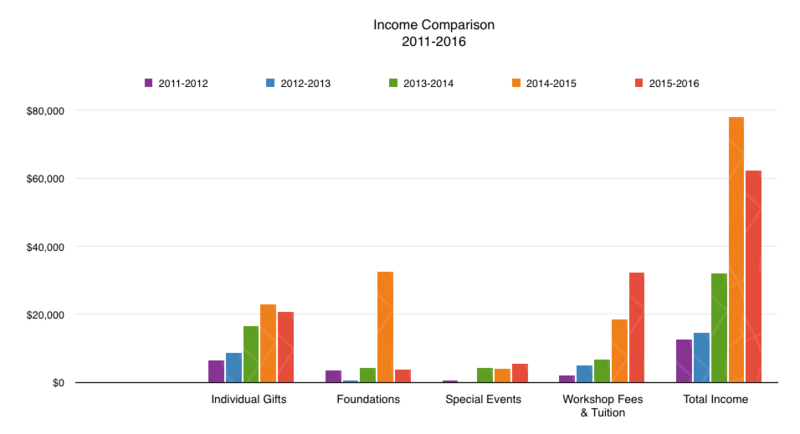 Earned income jumped another 74% this season thanks to an increase in demand for fee-based opera creation workshops at AltSchool. 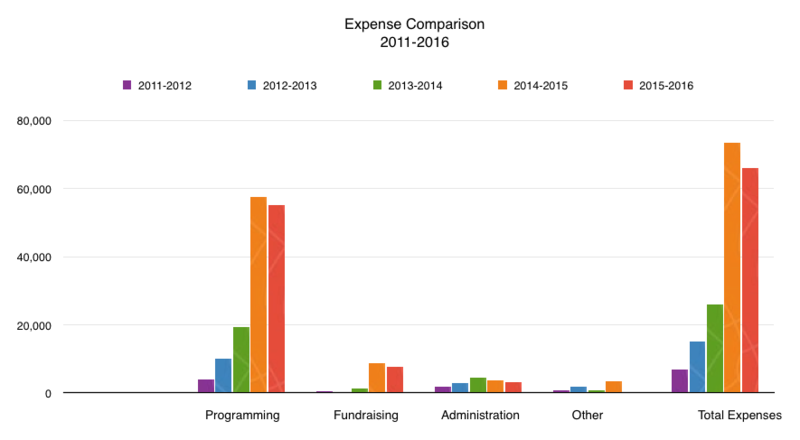 Programming expenses dropped this season, despite our increase in programming. Due to the non-renewal of grant funds, Little Opera's director went unpaid this season, which accounts for the increase in programs offered, but decrease in programming expenses. Little Opera works to transcend divides in the community, and build pivotal long-term relationships across differences in age, race, and family income. 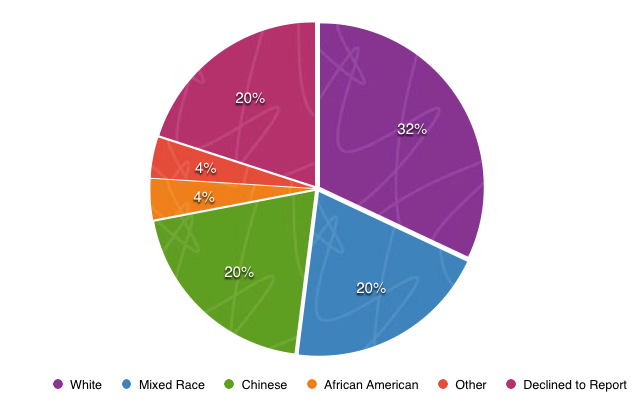 To help us build a diverse student body, we work with teachers from San Francisco’s Unified School District to identify eligible students — low-income children who show an aptitude or drive for the arts, as well as those who may not thrive in traditional classroom settings — and provide full scholarships and significantly reduced tuition to over half of our participating students each year.